Syrian refugees fleeing to Lesbos? No, Belgians fleeing the devastation of their country in 1914. In 1914 these refugees were welcomed in England. Towns mobilised to house, clothe and feed them. Even small villages took in a family. The treatment of refugees is one of the themes in a show I’m putting on in Hertford on Saturday 21 November. An evening of readings and songs, expressing the dreams and reality, hopes, fears and frustrations of those who experienced the First World War, at home in Hertford and at the Front. Some images from the show, ‘Seeing It Through’ which was performed at Hertford Theatre Studio on 15 November 2014. Our small cast of five – Toni Brooks, Catherine Forrester (seen in the photo playing young Ware soldier Claud Sweeney in the trenches), Rob Madeley and Steve Scales, plus Director Richard Syms who also took the narrator role of the Editor of the Mercury, gave fantastic performances which were very well received by the audiences. (In the pic, left to right: Steve, Toni, Catherine, Rob). Now we hope we can put it on again! The story of how ordinary people lived through the First World War is worth telling. It is a powerful counter to the glorification and mythologising of war, while also revealing much about the roots of how we live our lives now. Scenes from the performance at Hertford Theatre on 8 July. 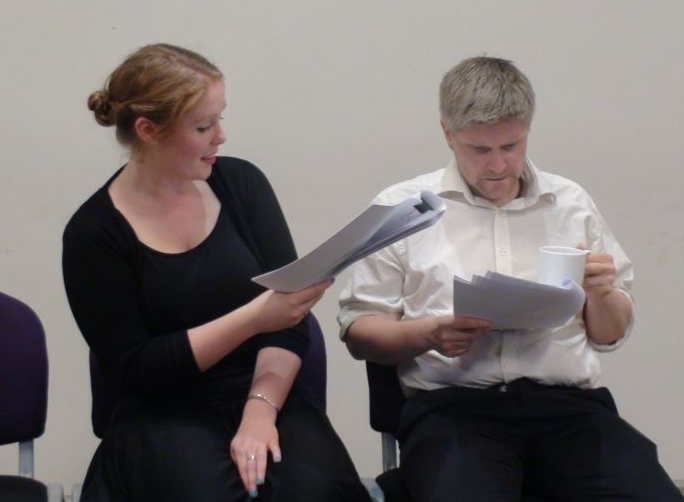 Rhiannon Drake as Mabel and Ken Boyter as Harry in a scene from Erin Thompson’s play Over By Christmas. October 1914: Harry has just told his fiancee Mabel that he has had to enlist, in order to protect Mabel’s teenage brother who was ordered to enlist by his employer. Mabel is not happy. 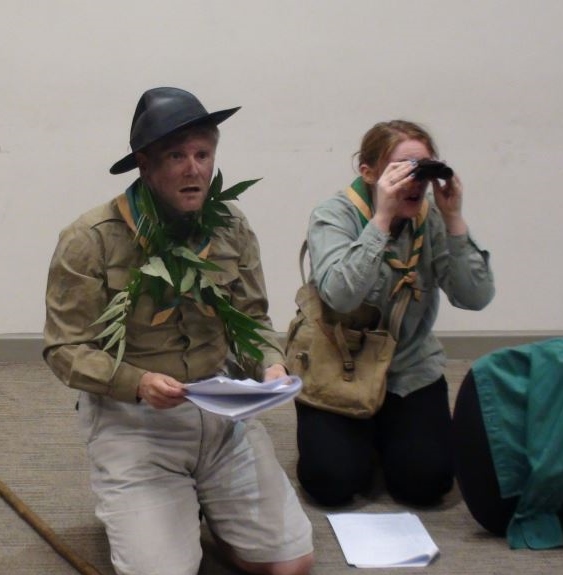 Ken and Rhiannon as 13 year old Scouts Seal and King in 1914, in Emma Blowers’ play Be Prepared and Be Ware, convinced they have stumbled across German spies who are making explosives to blow up London. Seal and King four years on – Rhiannon as a Hertford Grammar School boy in a very fetching blazer! Two plays that have emerged from the Introduction to Playwriting Course in Hertford are getting a script-in-hand performance next week. 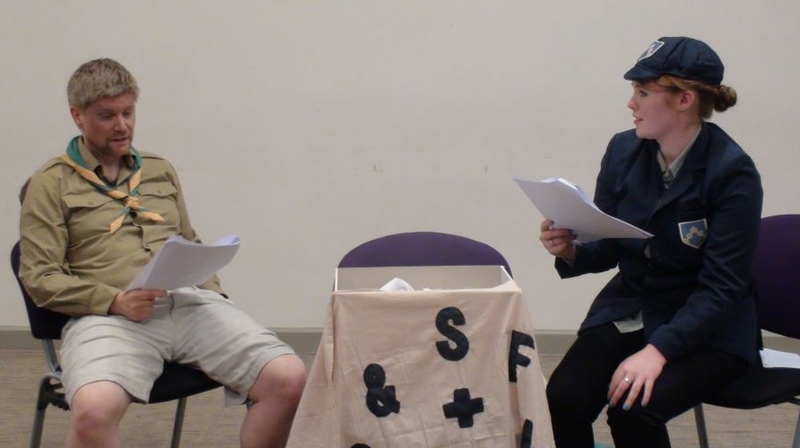 Both writers have done a lot of work on their plays and a great deal of revising and redrafting is still going on – but it is going to be a really good evening, moving and entertaining. 1914. 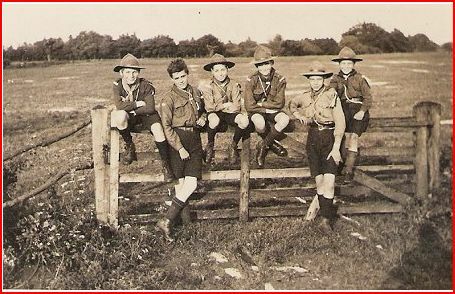 Keen boy scout Seal is ready for the thrilling adventure of wartime, spotting German spies and training to be a hero on the streets and fields of Ware. But the reality of war forces him to learn that doing your duty can mean difficult choices. Braughing, 1914. Harry and Mabel are engaged to be married when war breaks out. 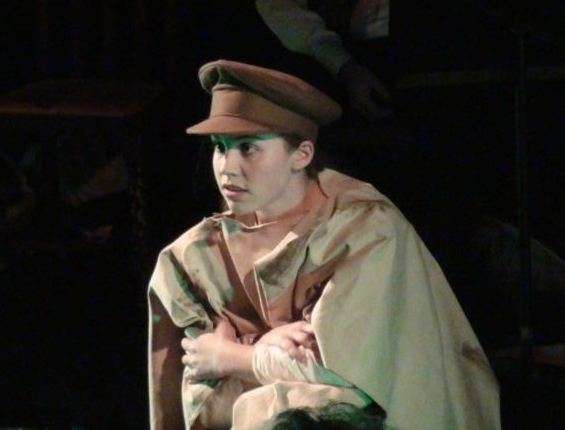 While Harry enlists to fight in the trenches of France, Mabel is left at home to take over Harry’s job on the railway. Each is changed by their experience and they become caught in a desperate struggle to find a future together in the shadow of the Great War. 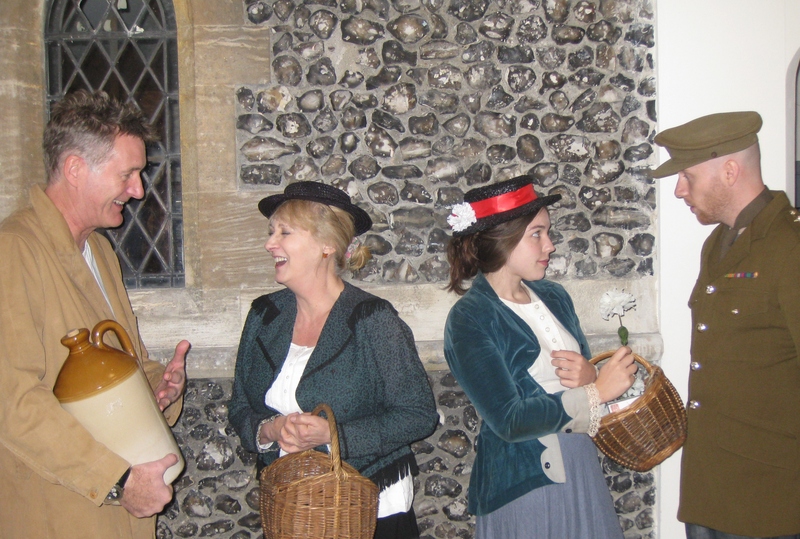 Our new show Seeing It Through, about life on the home front in East Herts during the First World War, is now scheduled for Saturday 15 November 2014, at Hertford Theatre Studio. When I started this project, I had no real idea of what daily life was like in England in that time, in contrast to the vivid and grim picture we have of life for soldiers in the trenches. There’s a vague sense that back in England the gilded Edwardian age was suddenly blighted by the loss of its young men, but otherwise things carried on. I’m discovering that people at home wrestled with some huge changes. Some they debated and agonised over – should there be conscription? Was it right for women to work on the land? Other devastating blows literally fell on them out of the sky. Zeppelins loom very large in the wartime experience of this corner of Hertfordshire. Many people, including children, were killed in air raids. We are collecting eyewitness accounts of them for Seeing It Through. It’s not clear why Hertford and Ware suffered so much – they were hardly strategic targets. 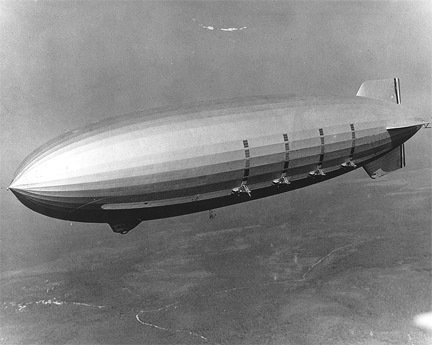 Many of the bombs were probably dropped by mistake: it is thought the Zepps navigated by rivers and one theory is they mistook the little River Lea for the Thames (!). Hertford’s worst experience was the night of 13 October 1915, when a dozen people were killed. One household which miraculously survived the night was that of Annie Swan, a great character who will definitely figure in our drama. She was a novelist, journalist and one-woman powerhouse who did huge amounts for people’s welfare during the war, as did her daughter Effie. Her husband was a GP. He was out doing his rounds when eight bombs were dropped on their house on North Road Hertford. Amazingly, everyone got out alive. “The house is entirely destroyed and about half our stuff. There were many marvellous escapes among it, as well as of us. For instance our after-dinner tea poured out in the library was not spilled, though most of the furniture was upside down. Annie and Effie had already been working in France, near the front line. They hadn’t expected to have the war visited on them at home.